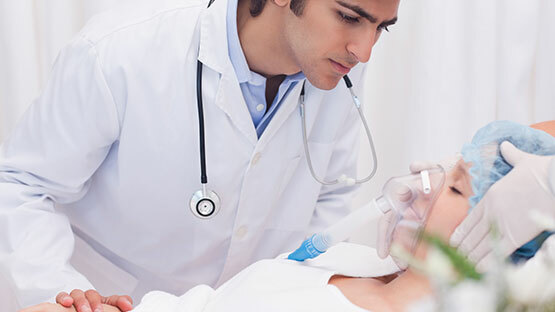 The respiratory care profession is composed of certified and registered respiratory therapists, who provide assistance to persons experiencing respiratory difficulty. They provide services ranging from simple respiratory care to complex life-saving techniques used in critical care settings for patients of all ages. Students in this program receive advanced training in critical care and advanced life support. They are involved in direct patient care in the administration of various humidity and aerosol therapies, breathing treatments and invasive critical care techniques. Respiratory therapists are involved in all aspects of respiratory care including newborn, emergency, diagnostics and chronic rehabilitative therapies. The Respiratory Care Associate in Science program is a two-year course of study requiring 76 credits for an Associate in Science degree. A series of general education and natural science courses are associated with the Respiratory Care program at Miami Dade College. It is recommended that students interested in this program complete these general education and natural science courses prior to applying and enrolling in the program to reduce the course workload in each semester. Completion of these courses does not guarantee admission to the program. The Respiratory Care Program is highly demanding, and students are therefore more successful if they do not work while in the program. If students must work for financial support, the program strongly recommends a limit of 20 hours of employment per week. Students should also consider family responsibilities before committing to a full-time rigorous program. To facilitate the clinical portion of the program, students are assigned to a clinical facility within Miami Dade County. Students are responsible for their own transportation to the campus and to various agencies in the community to which they are assigned for clinical experiences. All students admitted to the Respiratory Therapy Program will be subject to mandatory Criminal Background checks & Drug Screening at least once during their matriculation into the program. Students will be responsible for the associated fees for the aforementioned background checks and screenings. Students should understand, program faculty cannot guarantee matriculation for any student accepted to the program that has a Background Check and/or Drug Screen that is incongruent with the standards of the program's clinical affiliates. Credentialing exam pass rates and positive employment placement are well into the 95 percentile.